15 Comments on World of Tanks Premium Account Reworked! Not something new from Wargaming, but a bit different from what we had before in World of Warships. World of Tanks will get it’s own version of Premium Account, with the release of Update 1.5. What is World of Tanks Premium Account? Well, it’s easy to guess that is a Premium Account that will only work in World of Tanks, as it was designed particularly for this title. The price will be the same, but if you decide to buy World of Tanks Premium Account, it will only work for this game and no other Wargaming titles, basically the same as World of Warships Premium Account. The main question you will be asking is: what’s the difference? Wargaming is trying to rework the Premium Account in order to make it more value and convenient for what you pay, if you only play World of Tanks. But what extras will you get? Let’s have a look. Applicable modifier to XP. Players will now have the ability to have extra XP bonus besides the ones you earn in battles. With the new Premium Account, you will be able to apply an x3 modifier and increase the experience earned in your latest victory. You can use this modifier several times a day, whenever you want when playing on vehicles of any tier, and research new vehicles and their modules much faster. Also, if you have an x2 modifier (for example, for the first victory), then you can additionally apply the x3 bonus and earn immediately x5 XP in a battle! Reserve Stock. Or as Wargaming likes to call it: Piggy Bank. With the WoT PA, an additional 10% bonus to Credits on top of you earn in battles will fall into a special vault. It’s an extra bonus which is a plus for your battle income. For example, if you earned 10,000 credits in a battle, your vault will receive 1,000 thanks to the 10% bonus. Within a week, you can accumulate a maximum of 750,000 Credits in the vault. Every 7 days, regardless of whether your WoT PA has expired that week, the vault will open, and all Credits accumulated in it will be automatically moved to your account. Daily battle missions. Stock up on in-game goodies! Owners of a WoT Premium Account will have the opportunity to fulfil special consecutive daily missions. Completing these missions will bring you Credits, Bonds and more. You’ll enjoy exciting and challenging tasks to diversify your gaming experience and win tons of rewards along the way! Platoon bonus. Even more Credits and XP! Play with your friends in a Platoon, it’s not only fun but also very profitable. 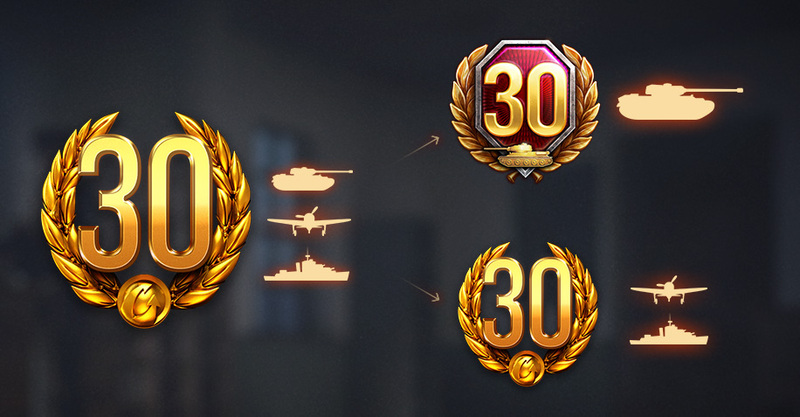 With the release of WoT Premium Account, we’ll completely overhaul the XP bonus while playing in Platoons. As such, the XP bonus won’t depend on a vehicle Tier, the outcome of a battle and whether you have a WoT Premium Account or not. Now playing as a Platoon, you will always get +15% XP. Also, speaking of what the new WoT Premium Account gives you, we should mention a Credit bonus. If at least one player in a Platoon has a WoT PA, that player will earn + 15% Credits for every battle, and the one who doesn’t have it will receive + 10% Credits. Map blacklist. Owners of WoT PA will be able to block not one, but two maps in total. Play on maps you like and avoid those you really don’t want to see. Already have a Premium Account? What will happen to it? In order not to confront you with a choice right now, Wargaming decided to launch a special grace period after the release of the WoT Premium Account for a limited amount of time. During this period, they’ll automatically credit you with a WoT Premium Account, regardless of where you purchased or received your regular Premium Account. What does that mean? For example, you purchased or received 1 day of Regular Premium Account. Logging into World of Tanks, you will find in your profile 1 day of WoT Premium Account. In the other games of the trilogy, you will receive 1 day of regular Premium Account. You will be able to test these changes on the upcoming 1.5 Common Test, but remember, these changes aren’t final and some changes to some particular bonus might happen. However, Wargaming has no plans to rework the options detailed above for Premium Account. More bonus for players, more content for the same price. Daily missions are good to be able to get more goodies! Applicable modifier! More XP and that is always nice and the ability to be able to select what battle you want to do it’s even better. Platoon bonus is even better, encouraging players to play more with their friends for a nice reward. Reserve Stock: Hate this, completely. Why? Limiting the number of credits a player can earn to 750,000 a week. A total of 3,000,000 credits a month can be earned with a bonus and that’s not even enough for a Tier X. The fact the player doesn’t receive the bonus credits straight away might make a huge difference if, for example, they need to buy a new tank on sale and need those extra credits. By doing it weekly, it forces the player to play even more to get the remaining credits, instead of reducing the number of battles (reducing the grind). Ability to block another map… on a paid service. It’s almost like old days, where Premium Accounts could create platoons of 3 players and non-premium just 2 and everyone hated that. What else will Wargaming try to bring next? Bonds in missions that can only be accessed if you pay for a product! All players, Premium or Non-Premium should be able to block two maps. Make the cooldown a bit less for Premium players, instead of 4 hours, make it 3 hours for example. Give the ability to retrain crews for free. Give the ability to dismount equipment for free. Credit bonus increased to 60% instead of the standard 50%, removing the Reserve Stock. Remove the limit of 5 multipliers per day. If a player is paying, he should be allowed to have an x3 multiplier for each tank he owns per day, that can be used when he wants on that specific tank. Overall, what do think? An improvement for those who buy Premium Account and maybe an incentive for others to get it? Do you like the new bonus, or there is something you would change? Let me know in the comment section. WG need to take a break for NewTanks and focus on Graphics/Reality … Trees still very bad. I have 704 daysdays of premium time right now. Does this mean that I have 704 days of WoT premium time now? I like the 2nd blocked map for PA holders. hope they’ll undo this soon after trying. nobody wants to pay 2 premium accounts. i assume, quite a few people playing tanks and ws will rather neglect one and play only the other than pay twice. at least that’s how I will be rolling. You don’t have to buy two premium accounts. If you play more WG games than only WoT, you can use the regular one. If you only play WoT, then the new premium account is better. Nothing wrong with the piggy bank, it’s just extra credits with a certain limit. That’s fine. The only thing that bothers me is the ability to get extra bonds by paying WG money. That’s P2W, even in an insignificant way. Blocking an extra map is ok, but it’s better to give alle players that ability. I think that will proof that Ensk, Paris and Himmelsdorf are unplayable and therefore unpopular above tier 6. Arty should be excluded for map blacklisting, because it every game on an open map will get infested with arty this way. “Arty should be excluded for map blacklisting” – I could not agree with this more! Arty should have no ability to block any maps. Paris, Ensk and Himmelsdorf are situational maps designed to suit one or two types of tanks only. As a heavy player I like all of these maps immensely, as a LT player I despise them. Keep them all, kill Overlord. “the ability to get extra bonds by paying WG money. That’s P2W,” it totally is P2W, but do WG care? This is obviously a way to diversify their income stream. “Man, we should totally arbitrarily exclude certain players from the benefits they pay for!” Or should Artillery Players purchase WoT PA at a 20% discount? How do you define “artillery players”, anyway? As a relatively inactive player, I still have Black Prince, the T8 US Artillery, a bunch of premium mediums, LTs, and TDs… Seems like a lot of excess coding on WG’s end just to feel superior for a bit. When I buy my Premium time currently, it gives me the same number of Premium days in both, WoT and WoWs due to my joint account. I buy 90 days in WoT and I switch over to WoWs and there is also 90 days. So I can go to either game at will on Premium. Now they want to make people pay for each separately? That’s their aim. So if someone wants to play both, they will have to pay twice. More money for WG. No, WG gives you a choice. You can decide which type of premium account is the most benificial for you. If you play all three games, you are better of with the standard PA. If you only play WoT, you can buy the new PA for the most benefits. I can appreciate their efforts here. Love the additional changes …. Still… Where is new chat system ? Imo map block cooldown should be somthing like 1 week. This should be an option for players to block map they dont like, not an option to block bad maps for certain vehicle class. And about your suggestion to give ability to dismount equipment for free is the worst and the most pay to win idea ever, giving huge advantage to paying players, if they make it true, its just a matter of time when xvm incorporates auto tank equipping and as a result you can play all your tanks just with 2 sets of equipment, saving millions of credits, while free to play players will have to buy equipment for every tank. There was word that WG were going to make PA’s only deduct days when you logged in and played a match rather than taking a day every day even if you do not play. Any more news on this Harkonnen? Unmounting equipment for free would be a bad idea. Why? Because then premium players only need one or two pieces of each equipment and a mod to auto mount it like there already is for camo nets and binoculars. A massive advantage. WG should only count your premium days by time logged in playing not just by date. By excluding maps, they may see what players prefer and do away with some, hint hint. But in reality, its their game follow their rules, their maps or find something else.